Andrew P. Jones is the writer/director of ‘’Darkness Reigns,” a fun new horror film about a movie crew – along with actor Casper Van Dien, playing himself – who are stalked by an evil spirit in the haunted house they’re shooting at. Jones, who hails from a family of writers, started his career in a various of behind-the-scenes roles including set building and visual effects, working on episodes of “Married… with Children”, “Muppets Tonight” and many more hit shows. He would later start making his own movies, with titles like “Haunting on Cellblock 11” and “Kings of the Evening” on his resume. 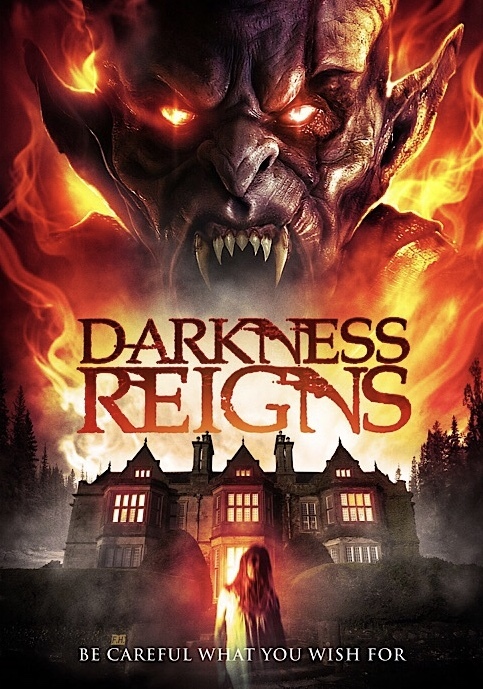 “Darkness Reigns” is released on VOD in July. Andrew recently discussed this project via an exclusive interview. 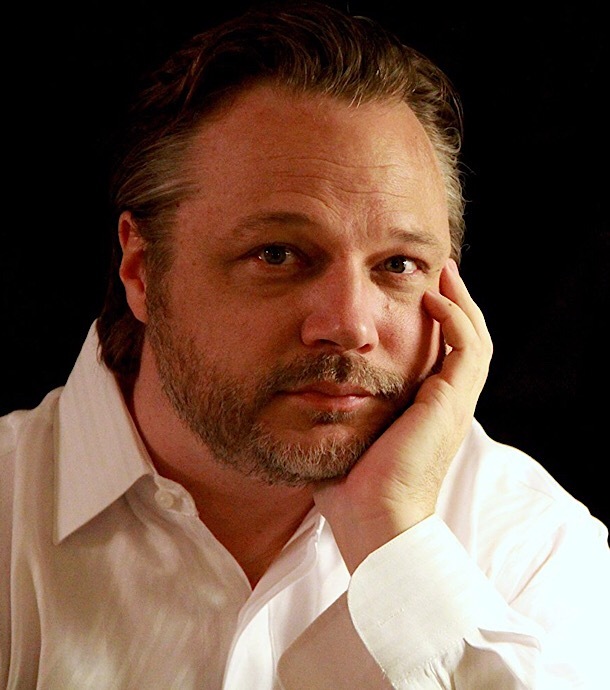 Andrew P. Jones (APJ): I come from a family of writers. I even had a great uncle who wrote shorts for Universal back in the silent days. So, show business is definitely in my blood and it’s the only field I ever wanted to work in. I have to say that, “Raiders of the Lost Ark” was the film that made me want to be a director, but I was also heavily inspired and influenced by the Muppets, and the makeup artistry of Rick Baker, and the fun films of the 80’s and 90’s like “Back to the Future” and “Poltergeist,” and a slew of movies that would probably never be made today. APJ: While I knew I wanted to work in TV and film, I wasn’t sure what I wanted to do exactly, so I started in the creative fields; art direction, set building, and then came special effects which turned into a ten-year career. And, working professionally in effects allowed me to watch and learn from the masters like Steven Spielberg, Harold Ramis, Bill Dear, and Joe Pytka. I also worked on hundreds of episodes of “Married… With Children,” “In Living Color,” “Muppets Tonight,” and dozens more. It was an amazing education, while at the same time I was starting to write, direct, and produce my own projects. MM: Do you remember the first time you got paid to shoot something? Frame that check? APJ: I do remember the first time I was paid to work on something, but it was for doing makeup, and it was thrilling. I got to travel to Hawaii and do a Mark Twain character makeup for a director named Richard Crawford, who was one of my mentors. I was only 18 years old and it was an incredible experience. As a writer and director, the first real paid work was on a children’s show I was doing in the late 90’s called “Field Trip.” That was a baptism by fire for sure, but a hell of a lot of fun too. MM: What do you usually shoot on, equipment-wise? APJ: I like to choose the camera based on the needs of the production. My first feature, “Kings of the Evening” was shot on 33mm film with Panaflex cameras. “Haunting of Cellblock 11” required a very mobile, high-end camera that we could run around with so we used the Canon C300 as well as an Alexa. For “Darkness Reigns” we needed an ENG type camera since it would be seen in several shots, so we chose the Sony FS7 XDCAM and it worked great. We used a combination of zoom lenses and primes. MM: If you weren’t making movies, what do you think you’d be doing? APJ: If I wasn’t in the entertainment field I’d probably be in the restaurant business. I love to cook and I really enjoy the high-end hospitality industry. Or at least, I think I would – it’s a brutal industry too, I know. APJ: “Darkness Reigns” was inspired by the film industry itself and all the things we have to deal with in order to make and distribute movies. The “what if” was based on what would happen if a young filmmaker sold his soul to the devil for fame and success but it came in a horrifying way that he didn’t see coming. How far will some people go to achieve success? MM: What personally appealed to you about it? It’s a true story, right? APJ: The script is definitely filled with little moments and lines that speak to my own experiences and frustrations with the film industry, specifically the indie film business. So, it’s a little cathartic for me as well. MM: Did you get a big say in casting? APJ: I’m the producer and director, so luckily I get the last word in casting. APJ: One thing I love about the film industry is the variety of experiences we get to have. What other business allows you to be in a navy submarine one day, and an old historic prison the next? I’ve been places and seen things that I think are amazing. At times, I’ve gotten to work with incredibly interesting people, including people I admire and really respect. And then there is the glamorous side too, like the jaw dropping awards show parties, etc. It’s a business of make-believe and it’s crazy to think we all make a living at it. APJ: I have no shortage of ideas and scripts and I want to keep making movies, but on a bigger and bigger scale. I’d also like to get back into scripted television, too. The industry has changed so much and there is a whole new frontier with new opportunities. APJ: I have six films (and three TV shows) in various stages of development. All different genres, from family to historical drama to comedy. One film I’m really excited about is called “Harriet Houdini,” about a teenage girl who dreams of being a magician, but she’s bullied at school and ultimately has to overcome her own insecurities. It’s near and dear for many reasons, not the least of which is my love of magic and the fact that my family goes back with the Larsen family who started the Magic Castle in Hollywood, so it’s a special piece for me that we’re trying to get funding for now. MM: What advice would you give to someone who is aspiring to enter the industry, especially, as a filmmaker? APJ: The advice I give to every aspiring filmmaker is learn the craft. Become good at what you do, be the best. We are in a time when anyone can pick up a camera or a camera phone, and shoot something, and edit it for zero dollars. So, there is a lack of actually having learned the craft. You used to learn by apprenticing, and assisting, and then eventually doing. Everyone now jumps to doing it, which isn’t necessarily a good thing. It’s also changed the distribution paradigm because now there is a glut of material so it’s not a seller’s market, it’s a buyers-market which has not been good for the more experienced filmmakers. MM: And finally, had any strange supernatural occurrences on film sets since the movie? APJ: There were many things that happened in the script that also ended up happening in real life. And remember, we had no idea where we were going to film when I wrote the script, in fact, it was written to be in a hospital. It turned out the hotel we shot in was, in fact, thought to be haunted and many people who used to work there had all kinds of ghostly experiences, some of which were similar to things that were in the script, but we found about later. As these things kept revealing themselves, the crew got increasingly nervous since we were making a horror movie about a film crew making a horror movie in a haunted location… where everyone dies. Casper joked at one point, “Be careful what you write. You wrote that I die and I don’t want to die.” I even wrote this running gag about staying out of Casper’s way because he was angry because his flight was messed up. And then, in real life his flight was messed up so badly that we weren’t even sure if he’d make it to start shooting the next morning. But he did, and he wasn’t angry at all. A number of things like that kept happening. To learn more, visit his website, Twitter, Facebook, and IMDb. Comments for “Darkness Reigns”: Interview with writer and director Andrew P. Jones are now closed.